Are you planning a bridging event with your group? Now is your opportunity to get custom patches at stock prices. These are top quality fully embroidered 2″ iron-on patches. 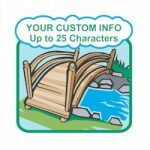 You can commemorate your bridging ceremony by ordering your own custom patches with your choice of up to 25 characters. Allow approximately 5-6 weeks for delivery. *Note: Minimum quantity is 25 patches. Custom patches cannot be canceled or returned. Is your group planning an encampment? Here is an opportunity to get custom patches at low prices. These are beautifully embroidered 2″ iron-on patches. Your girls will love them! *Note: Minimum quantity is 25 patches. Lead time is 8 weeks. 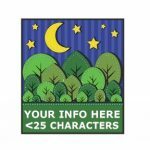 Custom patches cannot be canceled or returned. Is your service unit planning to honor the military? Now is your opportunity to get custom patches at stock prices. 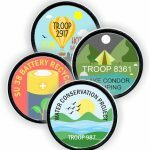 These are top quality fully embroidered 2″ iron-on patches. 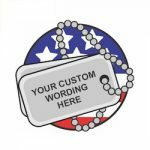 You can commemorate your Memorial Day activities by ordering your own custom patches with your choice of up to 25 characters. Allow approximately 4-5 weeks for delivery. 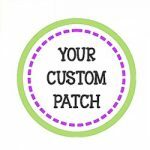 Ordering your custom patch is easy! Just select your size, your quantity and upload you file or a rough sketch. We take care of the rest.